Although it has a widespread distribution in eastern China this species is very rare and has declined due to deforestation. It has also been exploited to some extent for Taxol production. This species occurs in eastern China in N Fujian, N Guangdong (Nan Ling Shan, Ruyian), Guangxi, N and SW Hunan, SW Jiangxi and SW Zhejiang. Although the estimated extent of occurrence is more than 350,000 km2, the majority of the population is concentrated in Zhejiang with much small outlying subpopulations as far south as northern Guangdong. The area of occupancy is unknown. According to State Forest Bureau surveys (2009), there are estimated to be 245,114 individuals of all ages with 98% occurring in Zhejiang Province. Outside of Zhejiang, subpopulations are small and localised. It is considered to be extinct in the wild in Lingui County, Guangxi Province. Some subpopulations in Ruyuan, northern Guangdong have been reported as possibly extinct (Su et al, 2009) but recent field visits have relocated small subpopulations (A. Farjon pers. comm.). Subpopulations outside of Zhejiang show significant genetic differentiation from each other and from those in Zhejiang (Su et al, 2009). Natural regeneration throughout the range is considered to be very weak. 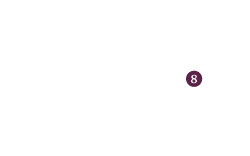 Pseudotaxus chienii is a dioecious species occurring scattered in evergreen and deciduous broad-leaved forests of middle altitude (700–1500m [State Forest Bureau, 2009]) mountains in warm temperate regions. The climate on these mountains is temperate, cool and humid, with annual precipitation around 1800–2000mm and frequent cloud cover or fog. It grows in shallow yellow earth (pH 4.2–4.5), or in crevices on acidic rock, often on precipices above streams. 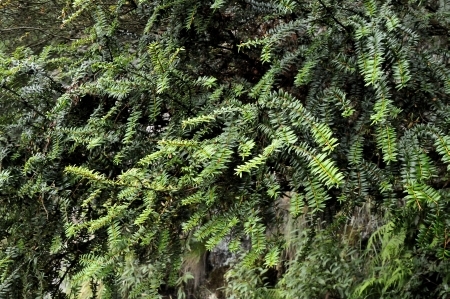 In Zhejiang it is associated with Schima superba, Acer elegatulum and Rhododendron simianum. In Guangxi it is found with Schima argentea and Castanopsis eyrei, always in the shade of these trees. 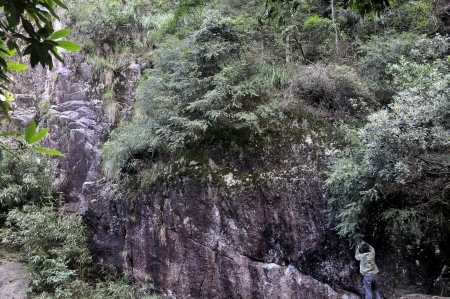 In N Guangdong and SW Hunan it grows over rock precipices above streams or roads. With exposure to sun its growth becomes retarded and the habit changes to a low shrub. Seed production is infrequent, with seed maturation from late September to October and seeds remain dormant for a year or more. The wood is used as a carving material and for making utensils. The species has been planted in the botanic garden of Nanjing, Fujian, and is in cultivation as an ornamental on a limited scale in Zhejiang. Outside China, this species is virtually unknown. 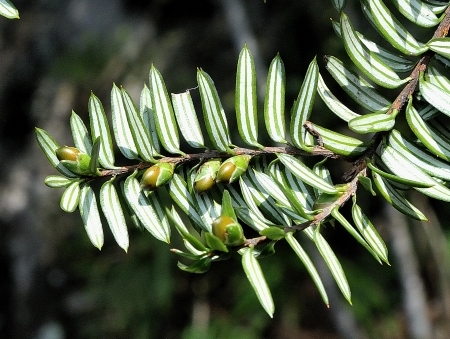 Pseudotaxus chienii has undergone a suspected population reduction in the past three generations (> 90 years) of more than 30% due to exploitation and habitat loss. The reduction is likely to be continuing but probably not at the same rate. It is uncertain if the reduction has exceeded the 50% threshold required for listing as Endangered. In the longer term fragmentation of populations into individual shrubs may limit geneflow and reproductive success. Poor regenration is already evident in some localities. 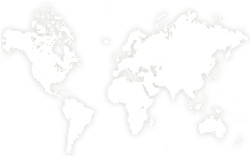 Some localities are within nature or forest reserves, e.g. in the Fenyang Shan and Jiulong Shan (Zhejiang), the Jinggang Shan (Jiangxi), the Nan Ling Shan (Guangdong), and the Zhangjiajie Shan (Hunan). Small subpopulations outside of Zhejiang show significant genetic variation from the main subpopulation and need active conservation in order to preserve genetic diversity (Su et al, 2009). Some efforts are being made in China to cultivate the species for ex-situ conservation. It is a 2nd degree protected species in China. Su, Y., T. Wang & Ouyang, P. (2009). 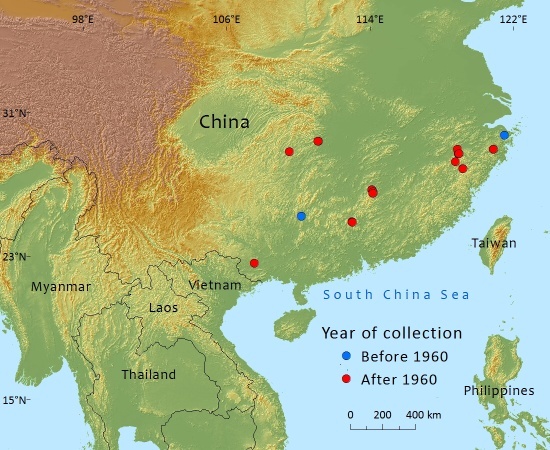 High genetic differentiation and variation as revealed by ISSR marker in Pseudotaxus chienii (Taxaceae), an old rare conifer endemic to China. Biochemical Systematics and Ecology 37(5): 579-588. P.Thomas,and Y.Yang, 2016. Pseudotaxus chienii, from the website, Threatened Conifers of The World (http://threatenedconifers.rbge.org.uk/taxa/details/987).